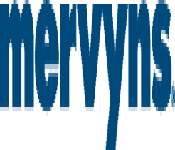 Mervyn’s was an American middle class department store based in Hayward, California. By December 2006 Mervyns had 189 stores in 10 states but they closed all their stores in Oregon and Washington by Febuary 2007 reducing its store count to 177. In July 2008 they filed for chapter 11 bankruptcy and in October they liqiudated all their stores.